Soon Malaysia going to have it's 13th General Election (GE). While there's have another Bersih 3.0 which protect / fight for Electoral reform on election process. Too bad, sadly, the Bersih 2.0 on last year 9 July, MOST of people who went to street are know nothing about what's purpose of BERSIH 2.0. What i can thinks now, the same situation will be happen again in Bersih 3.0. Worse, I would salute those who sit-in 2 hours from 2pm until 4pm at Dataran Merdeka to support Bersih 3.0. May the sun be kind to you. 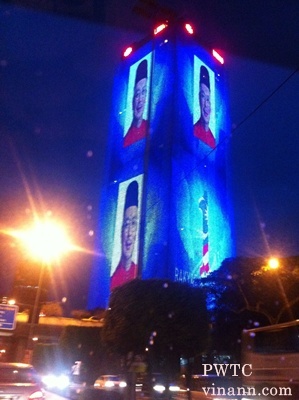 BN clearly have huge advantage on doing it's pre-election campaign warming up! 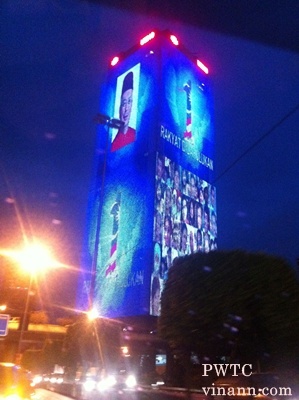 I'm just wondering, are people cursing the images projected on UNMO building when their stuck in jam? It's suppose to be spread out of message but yet wrong location spurs people frustration.